​We are excited to bring to Turin the Stanford Women in Data Science conference (WiDS), a global event for women leadership and innovation hosted at Stanford University and 75+ additional locations worldwide. 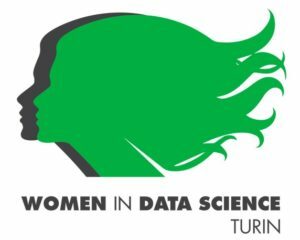 Our conference in Turin invites data science, IT and STEM students, startups, researchers and professionals to talk with our invited speakers and discuss about women in Data Science. connect with potential mentors, collaborators, and other actors in the field of data science. ​Attendance is free but registration is mandatory. The event is organized in joint collaboration between the Data Science for Social Impact Laboratory at ISI Foundation and Fondazione CRT, Turin. The event will be held at the OGR – Officine Grandi Riparazioni, a new multipurpose cultural center, a hub for culture and innovation in the heart of the city of Turin. Here is the PROGRAM OF THE DAY. Questo articolo è stato pubblicato in Evento . Bookmark permalink .